Here you will find an assortment of Specialty Teas that have been taste tested and chosen for their smoothness, fruitiness and overall well balanced flavour. Most are great the traditional way and absolutely incredible Iced as well! Along with a few favourites you will find a Special Blend only available here at Beans and Bears. Newly added is our Tea Ware collection. We introduce some modern ways of enjoying our teas. Stop by our Tea Boutique Bath Shoppe and find many fabulous bath and body products to pamper yourself or to give as gifts. We hope you enjoy your shopping experience. Samples available. Loose Teas are packaged in 2 oz. bags housed inside a platinum Tea Tin. Each Tin holds up to 4 oz. of Loose Tea. All of our teas are hand-packed upon receipt of your order. Tea Tin. Each Tin holds up to 4 oz. of Loose Tea. All of our teas are hand-packed upon receipt of your order. Our standard size is 4 oz. (which makes approximately 50 cups). 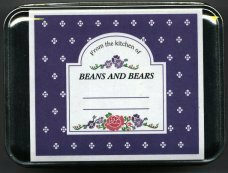 BEANS & BEARS GOLD - Black tea blended with orange blossoms, red sandlewood, elderberry, passion fruit and other flavours to produce a tea that is fruity and aromatic. It is great hot and iced. 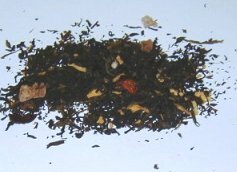 PRAIRIE PASSION - A beguiling blend of black and green teas with passion fruit and other flavours. It is slightly sweet and a hint of tanginess. 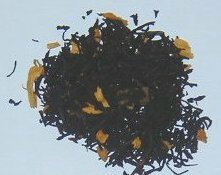 BLACK MANGO - A fine black tea combined with fruits and flavours. Combination of aroma and character with mild, sweet, fruity tastes. We are introducing some New Teas that you are sure to love. Black Forest Tea A silky smooth blend, that makes one think of cherries, coconut, and rich black tea. Contains black tea, green tea, green mate, coconut, flavouring, rose petals, and cornflower blossoms. Chocolate Cream Rich, sumptuous, and indulgent. 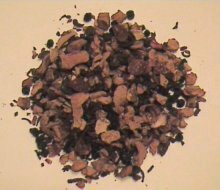 This blend contains black tea, coconut, cocoa bits, chocolate chips, and flavour. The aroma and flavour of creamy dark milk chocolate is so pronounced you almost feel guilty. Strawberry Cream This tea is like a big bowl of strawberries crowned with whipped cream. That's what pops into my mind when I sip this bea. This is a blend of black tea, pineapple cubes, flavour, and strawberry pieces. Available in 2 oz. and 4 oz. Try some today! New Teas that you are sure to enjoy on a hot summer day. Black Mango Tea This is a fine black tea combined with fruits, spices and flavours. They combine the aroma and character of good tea with mild, sweet, spicy, or fruity tastes. A sure winner as iced tea! 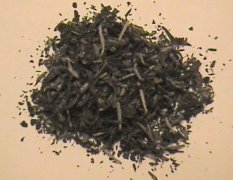 Lemon Solstice This tea is a lemony breath of fresh air: citrus, vanilla, and liquorice dance over Yunnan base tea. This tea has almond brittle, lemon grass, flavour, liquorice roots, strawberry pieces, and blackberry pieces. Wow! Refreshing over ice on a hot summer day! Georgia Sunshine Sweet and tart, the flavours of fine Ceylon black tea, ginger, and peach combine to make a tea that is fantastic hot and incredible iced! All are caffeine free and made from fruits, flowers herbs, and sometimes with added flavours. These teas are also delicious iced. APPLE DREAMS - Refreshingly sweet with a hint of tartness: apple pieces, hibiscus blossoms, elderberries, rose hip peel, flavour. A caffeine free tea as with all our Tisane Herbal teas. Try it "Iced" for the summer time too! ORANGE BLOSSOM SPECIAL - Aromatic, citrus, and refreshing tea: orange peel, apple pieces, hibiscus blossoms, rose hip peel, flavours. 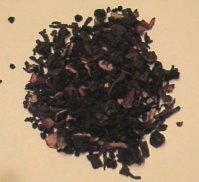 RED BERRIES TEA - This tea has a raspberry/cherry aroma and flavour; marvellous iced, but also an unusual and bracing hot beverage. Made from hibiscus flowers, elderberries, bilberries, grapes, and citrus peel. CITRUS MANGO - a special blend only available here on Beans and Bears made up of a combination of sweet mango with refreshing orange and apple pieces. It has a slight kick to it and wonderful summer tea you will want to try. FRUIT OF THE PLAINS - A smooth and sweet herbal tea: wild cherry bark, orange peel, raspberry leaf, lemon grass, papaya leaf, lemon peel, strawberry leaf. WHITE Peony - This 2001 white tea has more body than most whites and a sweet fresh earthiness to its flavour. This is a fabulous tea! Don't miss trying this one during the summer as a "Iced" tea. A great mild tasting tea. Try a sampler of our teas with every order!